On our recent trip to Syracuse Andrea and I (along with my mother-in-law and two small dogs) made a small detour to explore a piece of American religious history. Driving on I-90 through upstate New York, we saw the turn-off for Palmyra, a small town that we would otherwise have driven right past were it not for an essay I had once written for a history of Christianity class. In the 19th century, Palmyra was at the heart of what was called the “burned-over district,” an area ‘razed’ by a succession of red-hot evangelical revivals. And one of the young men left in the wake of this religious fervour was a charismatic young man by the name of Joseph Smith. 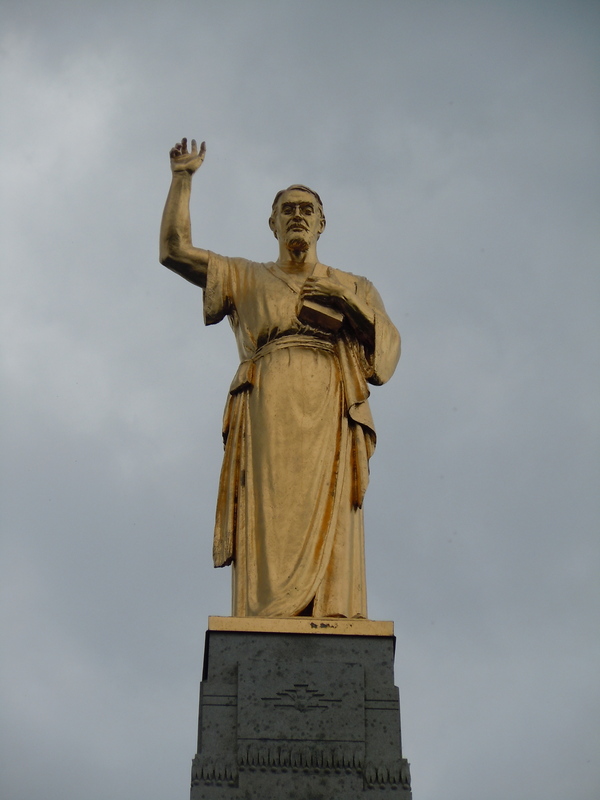 Palmyra, NY is where Smith was reportedly visited by the angel Moroni, a celestial messenger who led him to dig up a set of Golden Tablets on which were inscribed the “ancient Egyptian” texts that became the Book of Mormon. Harold Bloom, quoting Tolstoy, has called Mormonism “the American religion.” It is an obvious but provocative description. Unlike other faiths, the origins of the Mormon Church are not shrouded in mystery simply by virtue of age or location. Here is a new major world religion being born not in the Middle East hundreds (or thousands) of years ago but in New York State, only a few hours away from where I live. Perhaps this makes it even more mysterious – Bloom sees Smith as a true religious visionary, an imaginative, even Blakean prophet whose creative “revelation” would forever transform the global religious landscape. The faith founded by Smith is the American religion not just because it originates from the New World but because it re-mythologizes the entire history of the continent. The Garden of Eden is in Florida, lost tribes of Israel battle where one day there will be Targets and JC Penneys, and the trajectory of Jesus’ Ascension is diverted to the Midwest! Today Mormonism is something of an uncomfortable Other for evangelicals, who find their own texts, traditions and “varieties of religious experience” appropriated and redeployed in strange new ways. (Although this comparatively new faith poses interesting questions for other Christian traditions as well; Mormon scholar Terryl Givens has compared the LDS doctrine of men becoming gods to the Orthodox doctrine of theosis.) The 19th-century residents of Palmyra certainly found Smith and his followers troubling, driving them out of the state to Illinois, where they were similarly persecuted and forced to go westward to the Promised Land of Utah. 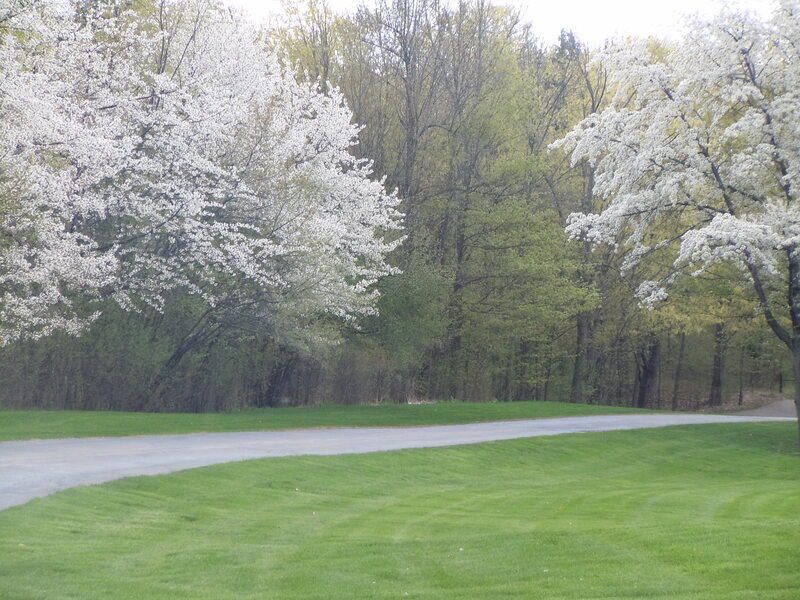 The Hill Cummorah, where Joseph Smith had his vision, is marked by a well-kept Welcome Centre with lots of out-of-state license plates in the parking lot. Inside I met a very nice Elder who told me about the exhibit they were currently hosting – pictures from the Hubble Space Telescope, evidence of God’s creation and perhaps of Mormon speculation about how we will each rule our own planet. (Apparently Mormons are also experimenting with theology and art/photography, or I suppose in this case theology and science!) We drove up the hill, past an outdoor amphitheatre where each year the book of Mormon is re-enacted in a large pageant – one of the largest outdoor theatrical productions in the country – a spectacle we agreed would be well worth returning for. (It might make a great double-bill with South Park creators Matt Parker and Trey Stone’s slightly irreverent new Broadway musical “The Book of Mormon,” which cleaned up at the Tony Awards this year.) Having done my time in pageants as a young Baptist Sunday Schooler (I was a wise man, and later a donkey), I am well acquainted with the genre. In fact, every year Andrea and I like to search out an extravagant Easter pageant as a sort of guilty pleasure, preferably one where Jesus is lifted into the air by an elaborate pulley system, so perhaps we wouldn’t be so out of our element at the Mormon equivalent. 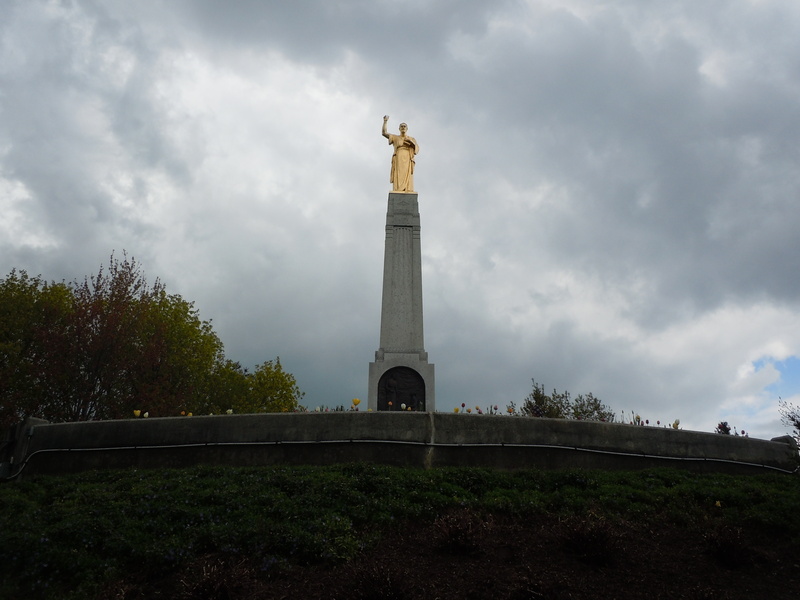 At the top of the hill rests a tall monument topped by a golden statue of the angel Moroni, proclaiming his new revelation over the countryside. Small plaques tell the story of Smith’s revelation and the birth of the Latter-day Saints. The dogs were not too impressed, but were thankful to be out of the car for a few minutes. My mother-in-law struck up a conversation with a Mormon family who had made the pilgrimage to the Hill from a distant southern state. As they say, I am neither a Mormon, nor the son of a Mormon, but I will note that the Hill Cummorah does have a certain indefinable, “numinous” quality. I’m not sure if I’d go as far as calling it “sacred space,” but the beautiful view of the rolling fields and farms, the stillness of the forest and the light fog gave the place an ethereal, otherworldly atmosphere or presence. It is the kind of place where you might expect to hear the voice of a heavenly being, or at least to open your mind to the mysterious power of the imagination. Is there a lesson here about theological aesthetics beyond the pageantry and gold tablets? I suppose my little trip to Palmyra reminded me of the profound connection between “religious” and “aesthetic” experience. I remain quite skeptical about Mormonism on one level – all the spurious North American prehistory, revelations in hats, buried treasure, etc. – but then again, are virgin births, God-men and resurrections any more ‘rationally’ credible? On what grounds do we assess experience of the divine, of the super-natural, of poetic, “apocalyptic” interruptions into our normal environment? Coming face to face with an alternate religious tradition forces you to re-examine your own spiritual lens, hopefully helping you see the beauty of your own experience of revelation more clearly. 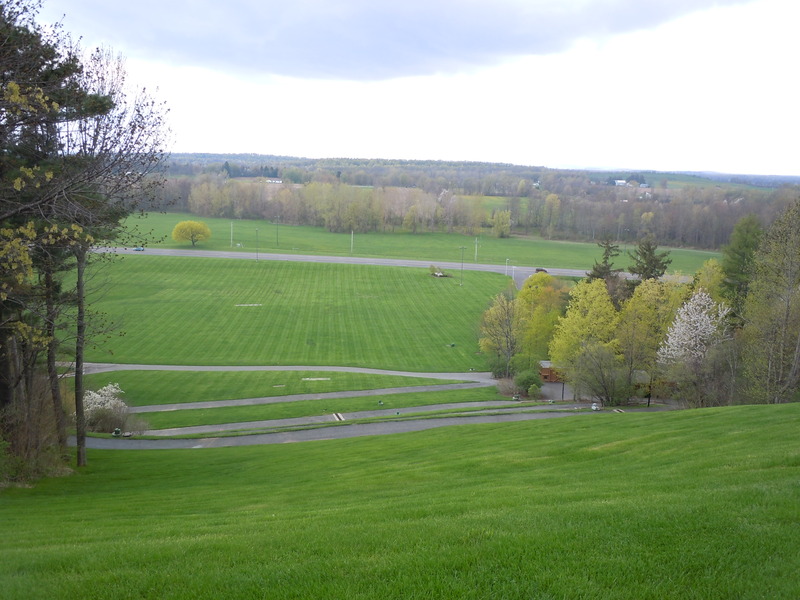 To discern the slightest hint of the presence of an alien beauty on a forested hilltop in upstate New York – perhaps that’s the beginning of theological aesthesis.